Magalla is a clean, stylish, flexible, and intelligent Blogger Template for your news website, magazine, or personal blog. Its strength lays is in its simplicity and flexibility, a robust blogger template that presents your work and content with absolute clarity. 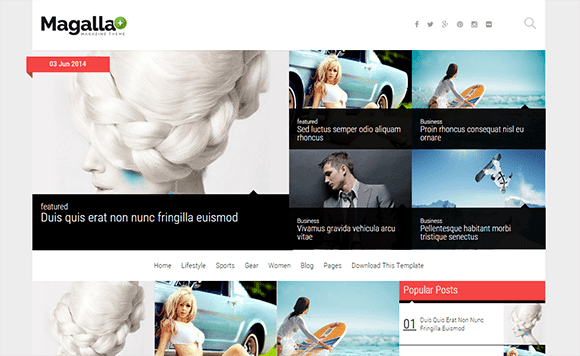 Magalla blogger template is designed to inspire and impress. The perfect blogging theme for news, food, recipes, restaurants, photography and much more. Relax and enjoy hassle free blogging with our user friendly interface and work flow whilst having the knowledge and comfort of being backed with professional support.